In August, 2012, General Dynamics Information Technology and TekSynap were awarded a $39M contract to provide comprehensive IT support services to the National Defense University (NDU) and Joint Forces Staff College. The contract encompasses all IT services supporting the mission. 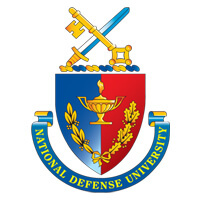 The relationship with NDU began in November, 2010 when we conducted a wireless survey and analysis of the National Defense University’s Fort McNair and Joint Forces Staff College campus locations. Resulting from this analysis, the data compiled was used to formulate short- and long-term strategies to secure wireless 802.11a/b/g/n network coverage compliant with DoD, Army, NIST, and FIPS requirements. The site design is based on visual survey of the campuses, onsite meetings with National Defense University and Joint Forces Staff College staff, and AirMagnet and Cisco Wireless Control System Planning Mode predictive software. The resulting solution expands coverage to all campus buildings for a combined total of 387 access points (APs) distributed throughout NDU facilities to provide wireless coverage for 998,926 square feet. The architecture leverages existing NDU assets including the Cisco 4400 wireless controllers, Wireless Control System (WCS), Location Based Services (LBS) model 2710, and Cisco’s AIR-LAP1242-AK9 APs deployed in Lincoln Hall. The solution has evolved in support of the new Bring Your Own Device (BYOD) policy for the student population. The technology has been augmented with Cisco’s latest 3500 series APs, WCS/NCS and 5500 series wireless controllers.